An unfortunately common trope in representations of disability is the notion of the “crip mentor.” This is an underdeveloped disabled character who is introduced to the (newly) disabled main character to “show them the ropes.” Usually this character is overwhelmingly cutesy and spends an inordinate amount of time talking about how they’re “differently abled” or “special” and how their disability makes them “rad”…which makes me want to vomit all over myself. Stick is basically a blind ninja hamburglar, I guess…? 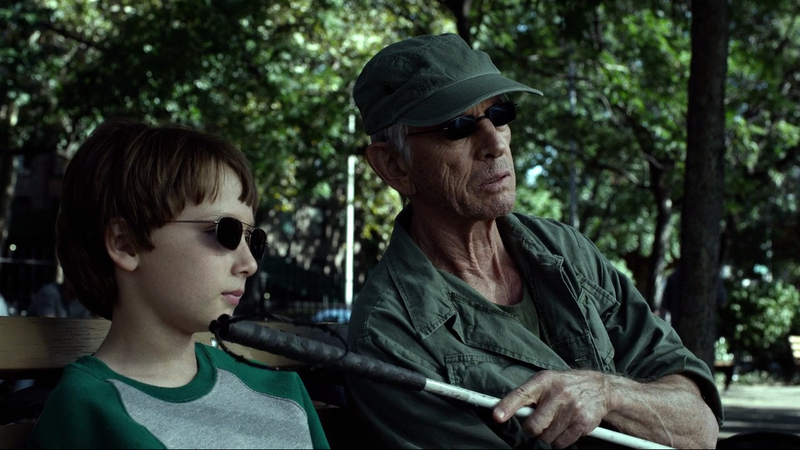 While on the whole I am generally against the “crip mentor” trope, I think Netflix’s Daredevil brought something different to the table with the character Stick. For the un-initiated, Stick is a salty blind ninja master who mentors a young Matt Murdock in preparation for a coming war with evil ninja super squad, The Hand. What makes Netflix’s version interesting is that rather than the typical kindness and cheery optimism, Stick is a brutal and sarcastic character that allows no room for pity. Generally speaking, Stick exists outside the disabled/nondisabled paradigm, seeing the world on a continuum of ability from which he must locate the best subjects to be converted into ninja assassins. Everything else, to him, is semantics. In a flashback to his introduction to Matt, Stick actively mocks a recently orphaned Matt, stating dryly that he isn’t complaining about being born blind and Matt should appreciate what he had rather than dwelling on what he has lost. Stick then provides Matt with a stark choice: adapt and grow his powers or continue to pity himself and remain a nobody. This is a unique moment because it lures the viewer into feeling sorry for Matt, this poor disabled child, and then chastises us for pitying him. After all, Matt is a super hero in the making, so we should not mourn something as (apparently) inconsequential as the loss of his sight. 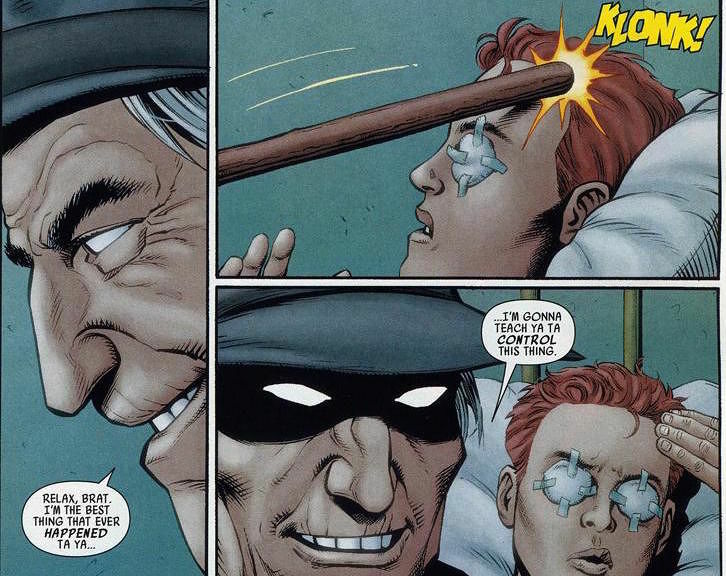 Instead, this moment refigures the source of Matt’s pain as the loss of his father, not the loss of his sight. Again, Matt is made more by his history as opposed to his physical limitations. Put another way, disability is not represented as the root of Matt Murdock’s character, instead he is formed by heritage and history. 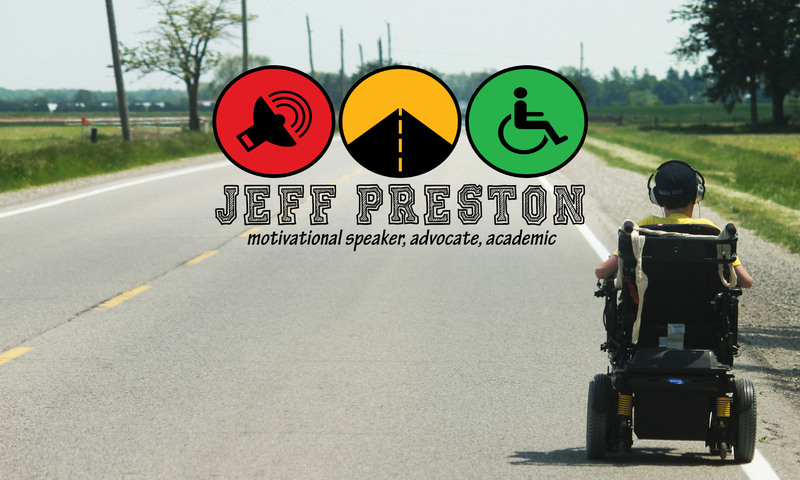 At the same time, the ensuing training montages could point back to the all-too-common notion that the “disability” is within and we, the disabled, must learn to master our weaknesses in order to overcome. This need to become self-sufficiency reduces the strength of social model thinking, internalizing “accessibility” within the individual, whose job it is to become independent in an inaccessible world, rather than forcing a reconfiguration to a disability-centric world as opposed to an ableist-centric one.